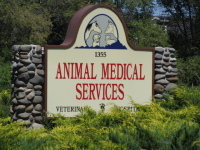 Animal Medical Services is family-owned and operated right here in Gardnerville, NV. This veterinary practice opened in 1978 and Dr. Sharon Burns has owned it since 2005. Being in the center of this small town allows us to be well aquainted with all of our clients. Other practices may offer similar services, but ours come with a personal touch. Dr. Sharon Burns was born in San Francisco, California. She graduated from San Francisco University with a BS in Biological Science & Medical Technology. She then attended Michigan State University, School of Veterinary Medicine. 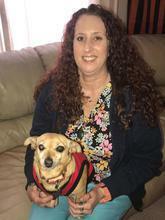 She joined the Peace Corps in Belize from 1979-1981 and worked in Santa Rosa for 3 years before finally moving to South Lake Tahoe, where she owned and operated Sierra Vet Hospital for 16 years. 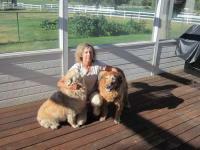 In 2005, she bought Animal Medical Services in the Carson Valley where she presently lives with her two beautiful Golden Retrievers and many ducks. In her spare time, she enjoys hiking, swimming, kayaking, gardening, and Irish fiddle playing. Sharon special interests are general medicine, surgery and ophthalmology. Dr. Henri Evard is a graduate of the University of Minnesota School of Veterinary Medicine and comes to AMS from western Nebraska. He's been a full-time ranch cowboy, managed a cow-calf ranch as well as many years in mixed animal veterinary practice. In addition to caring for domestic animals, for the past 12 years, Dr. Evard provided the veterinary care for Riverside Zoo in Scottsbluff, Nebraska. He is a dedicated bicyclist who has completed 100 mile rides and bicycled up mountains in the Rockies as well as the Alps of Europe. Dr. Evard and his wife, Cherie, share their home with 5 cats and 3 dogs. 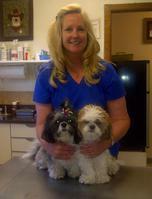 Patty is our always smiling Veterinary Assistant. She has been at our practice since 2005 and has been with us ever since. She was born in Yonkers, NY, was raised in Sonoma, CA and moved to Nevada in 1999 with her husband and two children. Now that the children are grown up, her and her husband share their house with their two always delightful, fun loving Shih Tzus, Sophie and Marley. Cierah started with us in September of 2017. She was born and raised here in beautiful Northern Nevada. She loves cats and has three of her own: Carlos, Cherokee, and Jimmy.